Today, a new leak talked very briefly about the camera specifications of the upcoming Galaxy S10. It didn’t reveal many internal numbers but for the longest time, it was believed that this particular smartphone will be Samsung’s first with three rear-facing cameras. 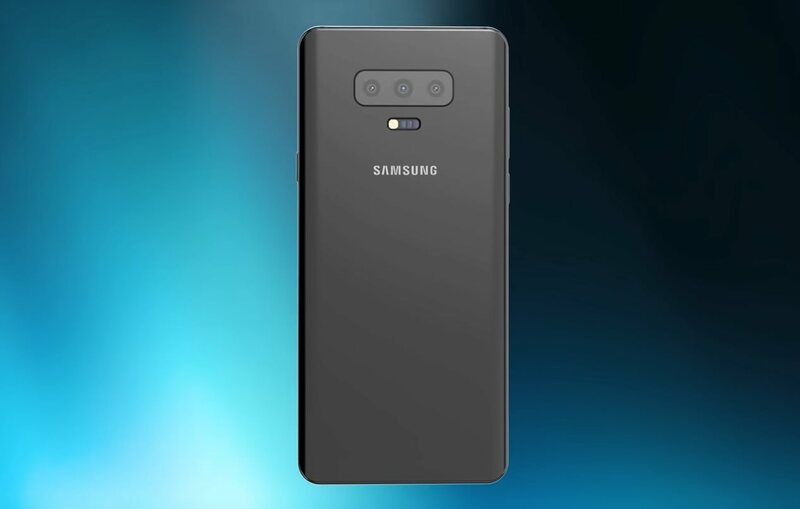 Although that spot has been taken by the new Galaxy A7, nonetheless, Galaxy S10 is expected to feature an improved triple-camera setup. Let us dive into additional details, but before we do, it appears that the primary sensor that is expected to be present on the upcoming flagship will be the same as the one present on this year’s Galaxy S9. According to a tweet given below, the Galaxy S10 may come with Galaxy S9’s 12MP F/1.5-2.4 variable aperture lens as the primary sensor. Previous reports have hinted that it may have a ‘super-wide-angle’ lens too. Other Galaxy S10 camera specifications include a 16MP sensor with a F/1.9 aperture and a 123-degree field of view. There is also expected to be a 13MP F/2.4 sensor as part of the specifications to complete the triple-camera system. An earlier report mentioned that the primary sensor would be in the middle with the 16MP and 13MP shooters on either side. The wide-angle lens, according to the leak, might not have optical image stabilization and autofocus. However, only the top-tier Galaxy S10 Plus might feature this camera upgrade. There are reports that talk about three models of the Galaxy S10; they will be introduced in the market while keeping the affordability factor in mind. The base version would be more affordable and may only consist of one camera while the other two models will be the direct successors to the Galaxy S9 and Galaxy S9 Plus, featuring double and triple-camera systems. Since the Galaxy S10 is yet to be released, its camera specifications haven’t been confirmed or officially stated by Samsung, but we will continue to keep you updated with the latest info. Which Galaxy S10 would you prefer picking up when the family officially launches next year? Tell us down in the comments.